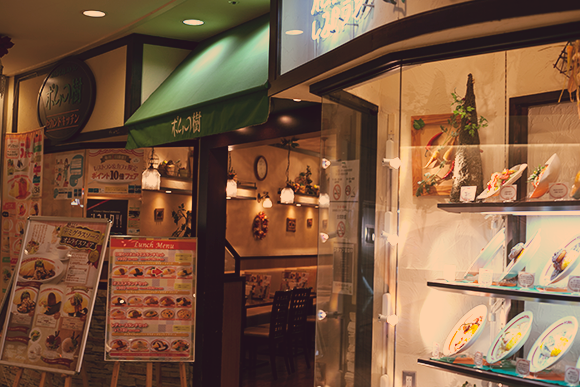 Unfortunately, we didn't have much time to explore Osaka's rich culinary food options beyond the very basics. What we did have, though, was pretty brilliant. 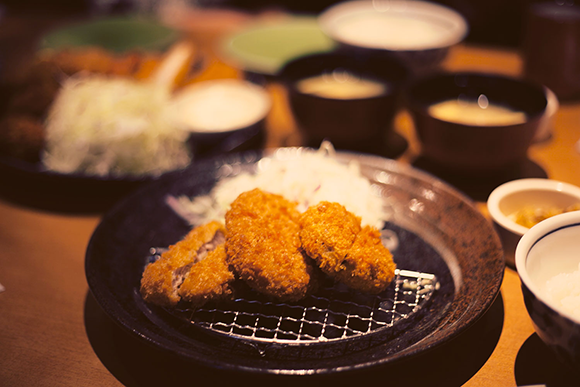 Ganko was a gorgeous place that specialised in fried food - katsu - of all kinds. We ordered a mixed platter that had katsu from pork katsu (tonkatsu) to fried prawn, oyster and potato croquette. The crumble was light, crispy and piping hot and did not have that oily heaviness you usually associated with fried foods (though eating too much is also not recommended). Top tip for accompanying salad: Crush the sesame seeds they give you, sprinkle over salad and then drizzle some sesame (goma ごま) sauce. Eat. And love. Omurice (rice wrapped in egg omelette) specialty store on 6F of Namba Parks - a hugely difficult lunch decision to make because everything on that floor looked so good. The store also had a size guide outside for the size of the omurice. 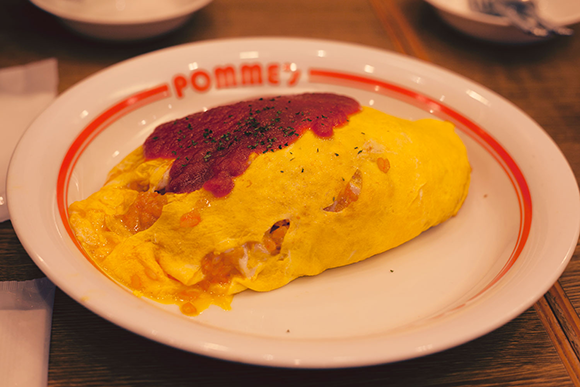 The omurice was tomato sauce based and rice filling was generous and well seasoned. We also chose to have a bit of butter inside our rice, which made it very fragrant. We ordered the medium size, which was very large, for my usual eating capacity - two medium sizes left us all very very full. The mushroom was super creamy and flavours were subtle but very good, especially if you liked the flavour of beef sauce. Definitely recommend this. You honestly cannot get over how impeccably Japanese-made 'Western' desserts are, in Japan. All the cakes at Harbs looked perfect. It was, honestly, a waste to only order a slice, given how beautifully it was packaged as a takeaway for us, complete with cooling packet and a carboard roll inside to prevent the cheesecake slice from moving in its box. I would definitely drop by again. I'm not sure why the slice was called 'rare' cheesecake (perhaps to do with the cheese?) but it was fluffy and delicious and so soft, especially with its sponge base. I personally prefer the base of cheesecake to be hard so there's some textural contrast, but this was a lovely dessert.